Watch the entire interview here [PL]. • Long term energy policies – what will change? 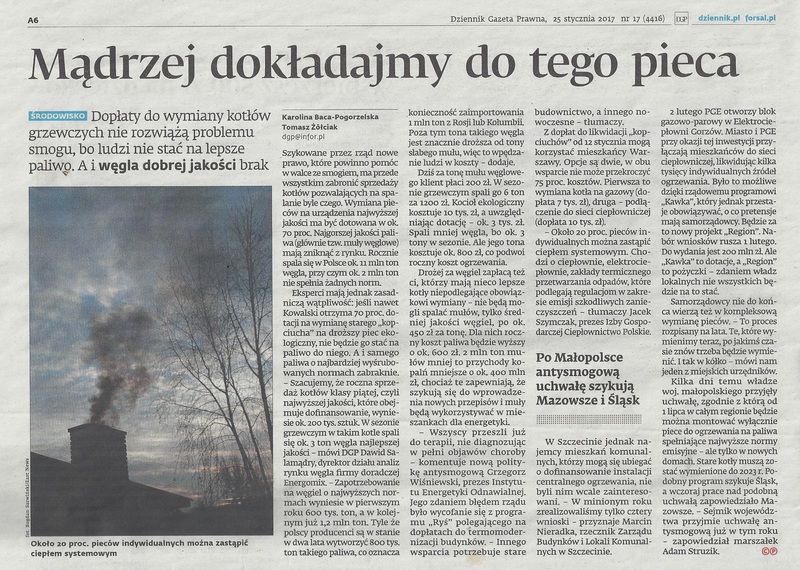 • How can Poland comply with these regulations by 2018 and still sustain its coal industry? • Where is the legislation currently being implemented and is it likely to expand? • Pricing impact for both importers and retail purchasers – how will this be managed?